Gaming with limits. 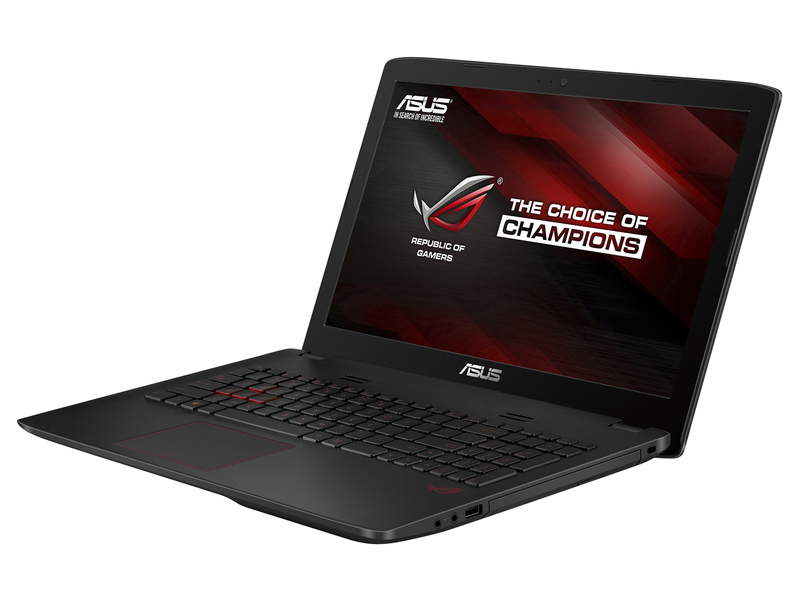 The Asus slogan for the new 15-inch ROG device is "Gaming Without Limits", which is unfortunately not the case because of the GeForce GTX 950M. If the limited performance is sufficient for you, you get a well-balanced multimedia notebook with an SSD, great input devices and a convincing display for 1,200 Euros (~$1354), which is, however, not without some flaws. All things considered, the ROG GL552JX offers a well-balanced set of features and performance at its selling price – which is rather attractive. It's not the best gaming laptop out there, but at its offer price it's a recommendation worthy deal for sure, if you're looking to have a gaming laptop that dresses the part as well. The Asus ROG GL552 doesn't scream as fast as some of its Republic of Gamers siblings, and the cheaper build quality feels flimsier, but it's still capable of punching through the latest games with relative ease. Still, it's mighty expensive at £1199.99, the plastic chassis doesn't scream quality to us and the abysmal battery life will keep you tethered to a wall. It’s a hard sell as there are cheaper, much more powerful portable options out there. As expected, buying the more expensive notebook here, the Lenovo Y50, will bring you better performance and overall user experience due to the excellent build quality, design and superb sound. On the contrary, the GL552 excels in other important areas like screen quality and cooling system which is a big deal to consider when you add up the price tag. But keep in mind that the screen quality comes at a price as our tests indicate the presence of PWM (screen flickering) across all brightness levels except 100%. The same applies for the Lenovo Y50, but the frequency of the emitted light there is 21.6 kHz and can be considered way less harmful to your eyes. Positive: Comfortable keyboard; good design; productivity enough for most modern games; quiet and efficient cooling system; decent standard battery life. Negative: High price; poor display; noisy touchpad; poor speakers. Model: The Asus GL552JX-CN154H is a solid gaming laptop with impressive hardware and compactness. Overall design is edgy yet not over the top. The lid is textured and features a brushed metal inlay and the Asus branding. The dark-grey colour scheme is accentuated by red highlights. The Asus GL552JX-CN154H comes with a comfortable keyboard with superior response. Asus also opted to make upgrades easy with a slide-off panel. Depending on the model, the Windows 8.1 system comes with a beautiful 15.6 inch 16:9 HD, Full HD or IPS FHD panel, but either option will serve gamers well. There are two processor options; an Intel Core i7-4720HQ or an Intel Core i5-4200H processor support by DDR3L 1600MHz RAM up to 16 GB in total. Graphics on the Asus GL552JX-CN154H is a powerful NVIDIA GeForce GTX 950M with either 2 or 4 GB VRAM. There is a huge selection of internal storage devices ranging from 1 TB HDD to 256 GB SSD in M.2 format. Other features include an optical drive, a card reader, Bluetooth 4.0, two USB 3.0 ports, a USB 2.0 port, an HDMI out and Mini-DisplayPort. There is also an HD webcam and the audio quality is good with the built-in SonicMaster speakers. The Asus GL552JX-CN154H comes with a 4-cell battery rated at 3200 mAh.